Has ARROW broken 'The Curse Of SUMMER GLAU' ? | Warped Factor - Words in the Key of Geek. Guest contributor Rob McCarthy examines if there's any truth behind the curse of Summer Glau. I like Summer Glau, a lot. She's a beautiful talented actress and I enjoy the kind of shows she tends to star in (mostly). Unfortunately, for some reason Summer Glau has one of those Hollywood curses attached to her, and at 32, with a whole lifetime acting career ahead of her, that's not a great thing. But is there really anything in it? Lee Quigley who played Superman as a baby in the 1978 film, died in 1991 at age 14 due to solvent abuse. Christopher Reeve who was so closely identified with the character that he struggled to get lead parts in other films. He of course was paralyzed from the neck down after being thrown from his horse 1995 and died in 2004 due to heart failure stemming from his medical condition. George Reeves played Superman in the 1950s. In 1959, days before he was to be married, he was found dead of a gunshot wound at his home with his Luger near him. His prints were never found on the gun, and huge conspiracy theory followed. But I believe that in pretty much every case there it would be hard to argue that Summer Glau had anything to do with the shows cancellation. Glau was perfectly cast as River Tam in Firefly, she was one of the most interesting characters on the show. It's treatment by Fox was the sole reason behind it's cancellation.If you're gonna show the episodes out of order then any show will struggle to find an audience. The 4400 was suffering from a ratings demise and a major storyline was developed for Summer Glau's character, Tess, to help with this. It wasn't enough to save the series but it still shows how much faith the producers had in her star power. 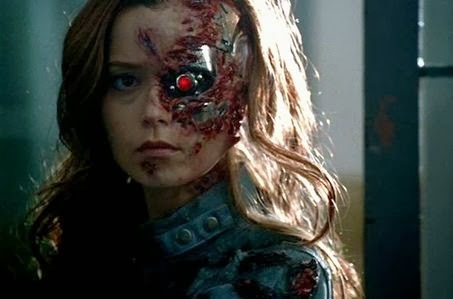 I think Terminator: The Sarah Connor Chronicles has been the highlight of Summer Glau's career so far. She played the emotionless cyborg Cameron, yet managed to bring a depth to the character and made us feel what her character could not. I would love to see her in a big screen version. In shows like Dollhouse, The Unit, Chuck and Alphas, Glau was not a central character. In Dollhouse she was brilliant in her guest star role as Bennett, in The Unit she her story arc was over long before the show was cancelled, Chuck was on the brink of cancellation for almost it's entire run and Alphas was unfairly treated by SyFy who seem to be happier with wrestling shows these days. The only show of her career so far that I can honestly say I didn't think she performed well in was The Cape, and I don't really think it was her fault. Her character Orwell just wasn't that interesting or well thought out (like the entire show) and her usual acting style just seemed off. I don't think it turned out how the cast had hoped it would and that was reflected in their performances. But all the same she was by no means the worst actor on The Cape, that award has to go to the wooden David Lyons who hammed it up to the max in a show that was completely full of ham. I could name loads but Vinnie Jones and James Frain stick out from memory as completely over-acting and treating the show like pantomime. The Cape deserved to be cancelled. 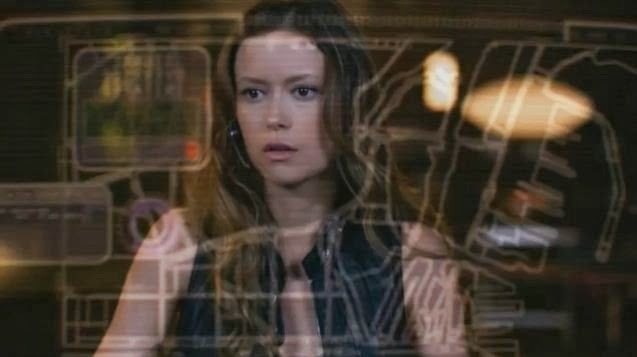 So I've never really bought into the curse of Summer Glau, she's found a great niche in the SciFi/Fantasy genre and I'd tune into a show just because I knew she was in it. I believe it's because she's well loved and has appeared primarily in shows of this genre, which often get cancelled prematurely, that she gets remembered by the obsessive fans who like to lash out and blame anyone and anything for their favourite shows demise. However (you knew there was a 'however' coming right? ), when it was announced that Summer Glau was to have a recurring role on Arrow this season, part of me couldn't help but think "Oh, I hope it doesn't get cancelled! ", because I really do enjoy Arrow. I then found out her character name was to be Isabel Rochev. They were tempting fate a bit there because Isabel Rochev is an anagram for Cholera Vibes! Well if she's giving them off then it's no wonder the shows keep dying on us! (That's the one joke folks). So when the news filtered through last week that Arrow had been renewed for a third season, even us die hard Glau fans breathed a sigh of relief. We've only seen her in a few episodes so far but Arrow's writers are slowly building a very interesting character for Summer Glau, and I personally hope to see a lot more of her. So with this successful stint on Arrow I'm hoping that 'the curse of Summer Glau' is now finally broken and people will just appreciate her for the talented actress she is. 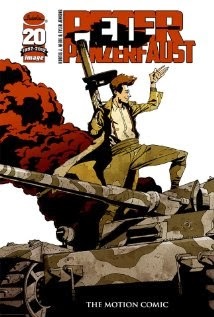 Recently Glau recorded voiceover work for the animated motion-comic version of Peter Panzerfaust. Based on the comic book series which is a re-imagining of Peter Pan, Glau plays the female lead of Wendy. I remember reading last year that the plan was to produce this animated version for digital release with a live-action version to follow, but I've not heard any more about it since. I hope it's not been cancelled!